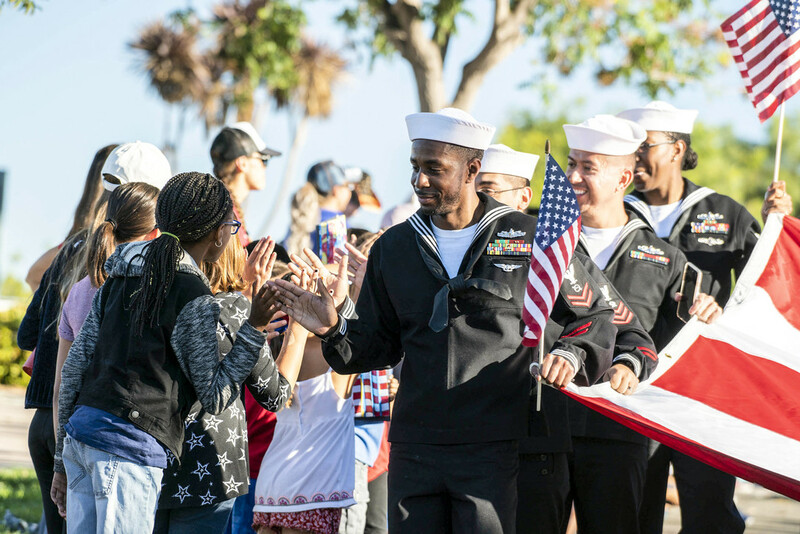 Operations Specialist 2nd Class Erwin Hill gives a high-five to spectators during the 13th annual Honoring Our Heroes Veteran’s Day Parade. U.S. Navy photo by Mass Communication Specialist 3rd Class Gavin Shields. On mid-tour leave from my first tour in Afghanistan, I was having lunch in an airport with a First Sergeant. I have no clue who he was; one of those connections you make on a military flight from one location to another. We start to shoot the breeze on the plane, then he says, “hey, let’s grab chow.” So we’re in an airport restaurant…Chili’s, maybe…and at the end of the meal, our waitress comes up and says, “Your check’s been paid for. They said to say thank you.” Pretty neat…and generous, considering that we were a couple of grown men eating state-side cooking for the first time in eight months or so. At airport restaurant prices, too. I wrote recently about how the public perception of veterans can impact veteran mental health. The constant, and seemingly disingenuous, “thank you for your service.” How the community seems to love veterans from a distance, but change when the veteran gets close. Attitudes in the workplace surrounding veterans. And I stand by that article; all of those things are true, and according the comments I’ve received in reaction to it, many veterans think so too. I also realized, however, that the article was pretty negative. I even called it a rant at the end. Sure, it was showing the reality of what many veterans, including myself, have faced. But it could give the impression that this is the only thing that veterans experience, which would be inaccurate. There’s another side to the story, too. I’ve been with my agency for just over five years. My two immediate supervisors in that time never served in the military, and never made me feel unwelcome. As a matter of fact, in many ways, my military service was the REASON I was brought on board. We had a program serving veterans in the criminal justice system, and the significant majority of them were male combat veterans. My military experience combined with my clinical training was an asset in my workplace; I know this is true for many veterans. Veterans on Wall Street is a great example of the corporate world coming together to support veterans and their families; it’s not about filling a quota or getting the good PR from saying, “we hire vets.” It is representative of a genuine desire to give back to those who served. I have heard from many veterans who have said, “I can’t talk to a therapist who hasn’t served.” I even heard of one veteran who said that they would not go see a therapist who hadn’t been an Army Infantryman who deployed to Afghanistan during the height of the combat operations. These are barriers that we put in place ourselves. The fact is, there is an extreme shortage of mental health professionals in this country. If we start to get choosy like that, then we’re limiting our options…and, perhaps, therefore avoiding therapy like we really want to anyway. I have a number of dedicated colleagues who never served in the military, who never grew up in a military family, and yet have dedicated their lives to serving veterans. 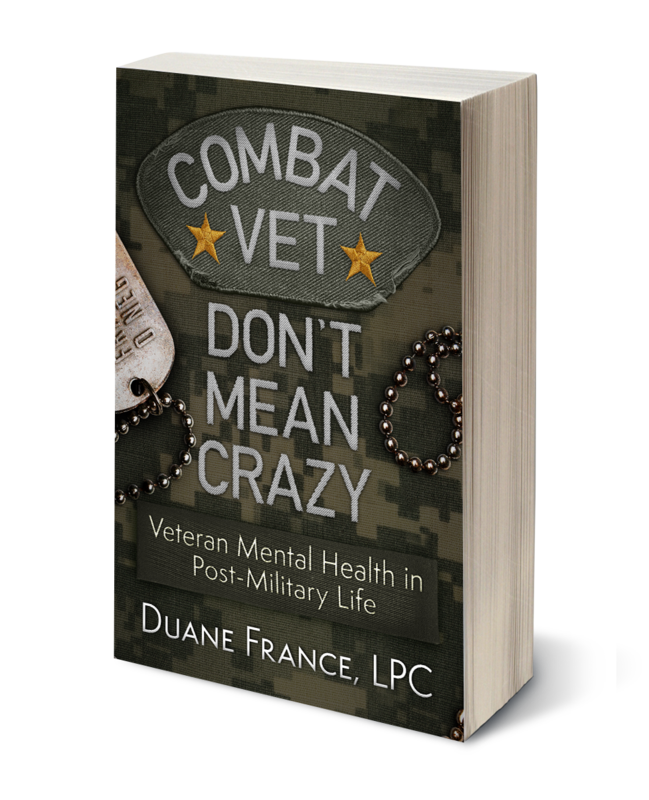 I recently recorded a podcast with a psychologist who has been working with veterans for over forty years, Dr. Larry Decker. Larry was very much not connected to the military; as he said, he protested against the Vietnam war, and several years later he found himself working as a therapist with those who served. I have spoken to dozens of colleagues who get it, who understand what they don’t know, but work hard to figure it out. …After once welcoming a Trooper home, he disarmingly allowed in return “thanks, but my buddy didn’t”. I then asked if maybe he did come home because, by referencing him in the response to me, his brother clearly remained in his head and his heart: “Sure sounds like you brought him home to me”. Then he talked and I listened. That’s the kind of interaction that warms this old Sergeant’s heart. And that’s not an isolated incident; there are many, many community members who never served who sincerely appreciate those who served in the military. Not in a patriotic its-my-duty kind of way, but in a genuine, heartfelt way. 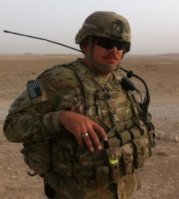 A friend, Aaron Skogen, is an example of someone who never served, and shared his growing appreciation for those who have in this guest post. Like with anything else, what you see is what you will find. If you only see neighbors as clueless automatons who have no understanding or appreciation of your service, then that’s what you’ll find. You’ll be missing out on a bunch of great conversations with people who genuinely do care. Similarly, if you only think that everyone who hasn’t served is grateful and appreciative, then you’re goin to be sorely mistaken. Understand: you’re complicated. People are complicated. Connect with those who care, distance yourself from those who don’t, and carry on with the mission of finding peace and happiness in post-military life.